Looking for the perfect summer job? Join the Champaign Park District team and get an experience to remember! Find the job that’s perfect for you. 1. You’ll get professional development. Start with a summer job, and you’ll get even more. Get the opportunity to speak to your supervisor one-on-one and talk frankly about how to improve, where you shine, and how to move you to your goals! 2. You’ll learn something about yourself. First job? Newly lifeguard-certified? Have siblings, but not used to working with your own group of campers? Our summer job will help you learn more about what excites you, what you are looking for from a job or career, and how you can add value to a team. 3. You’ll push the limits of your comfort zone. Get out of your comfort zone into a whole new experience—you never know what you might find. Our variety of job openings will let you jump into something new! Help Prairie Farm and get to know about animal care, explore parks you didn’t know about as an Operations Worker, or help run events for seniors. 4. You’ll turn coworkers into friends. Coworker relationships are a great reason to work for Champaign Park District. Teamwork is the easiest way to enjoy your summer job, and we make sure you are part of our team! Our staff isn’t full of workers, but hard-working people! Jump on board with people excited to add value to the community. 5. You’ll network and find career opportunities. Summer jobs provide a way to network with experienced people in the field. A successful summer job may turn into a full-time job, or lead to other year-round opportunities! Get the edge by impressing our staff. Still in school or exploring new job opportunities? Get an inside look and real experience in a job you’re interested in. 6. You’ll be a leading man or lady. 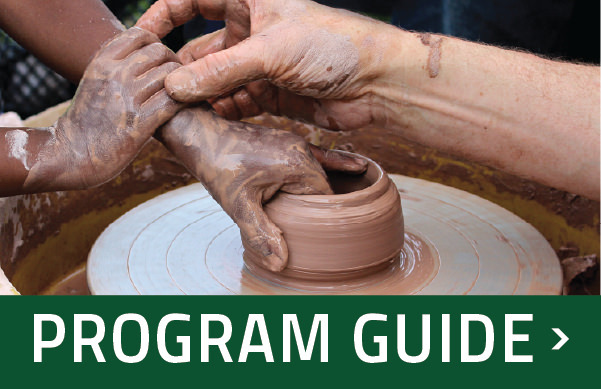 Share your talent as dance or pottery instructor. Show your enthusiasm as an inclusion assistant or swim instructor! Become the go-to for a day camper who just needs someone to listen. We have summer jobs that let you be a leader and give you the opportunity to inspire others. 7. You’ll burn calories and enjoy the sunshine! You won’t have to worry about finding time to go to the gym when you become a lifeguard. Get some sunshine as you plant and water in our flower gardens. Set an active example as a Day Camp Leader. You’ll get to spend a lot of time outdoors in many of our summer seasonal jobs! 8. You’ll feel the appreciation. If you are looking for a work culture where people are excited to guide you and let you grow within your strengths, this is the place for you. Are you the organizer? The quiet hard worker? The motivator? Let us use your strengths to add value to your team! Give your opinion, suggest a change, and be heard! You’ll know that you made a difference. Make your summer count. Apply today!